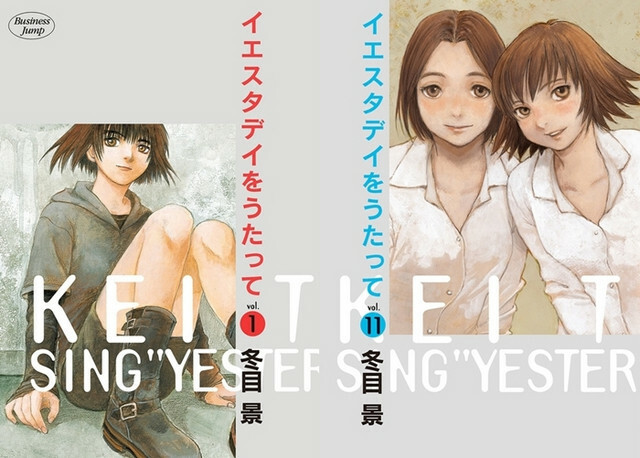 The official website for Shueisha’s biweekly manga magazine Grand Jump confirmed today on April 17 that an anime adaptation of Kei Toume’s Yesterday wo Utatte (Sing “Yesterday” for Me) is in the works. Anime visuals of its two main characters are also revealed in the magazine’s latest 10th issue of 2019 released today in Japan. It has been almost four years since the manga ended its 18-year serialization in June 2015. The love story manga first started in Shueisha’s Business Jump in 1997. After the magazine stopped its publication in October 2011, it moved to the publisher’s newly-launched magazine Grand Jump in the following month. Its final 112th chapter was published in the latter’s 13th issue of 2015, then its final 11th volume tankobon was released in September of the year. popular series Hitsuji no Uta (1996-2002).